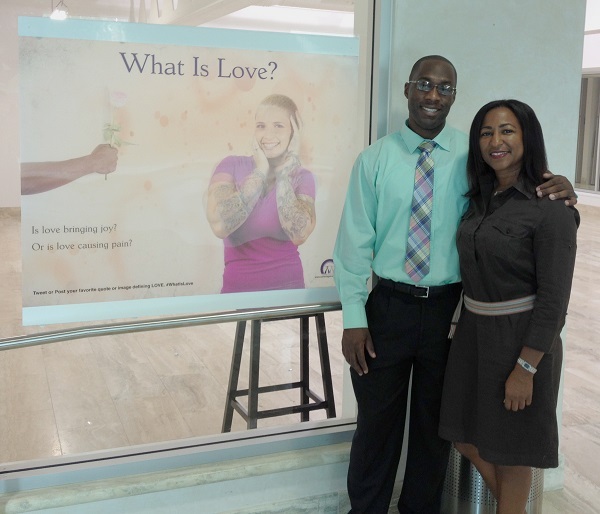 October is Domestic Violence Awareness Month and the Centre Against Abuse [CAA] is running a campaign entitled ‘What Is Love?’. The CAA manages Bermuda’s only domestic abuse shelter for women and their children, while also offering programs for abusers, victims, and witnesses. This latest CAA campaign aims to educate the island’s women on what a loving relationship looks and feels like, helping them to avoid abuse that sometimes masks itself as love or caring. The campaign has involved: social media, asking the public to post or tweet their definition of love via quote or image #WhatIsLove; posters asking the question what is love with positive and negative examples; and discussion on the radio and in schools about abuse, love and chivalry. The Executive Director of CAA along with Rev. 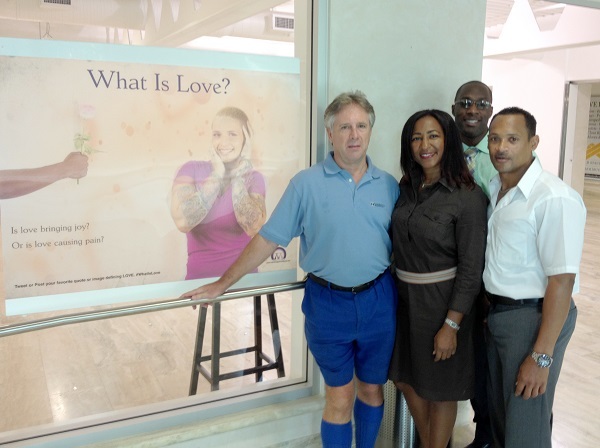 Maria Seaman, lifestyle coach Mr. Preston James, and the Creative Director of the campaign, Hafid James, have already had the opportunity to discuss ‘What is Love’ on the Sherrie Simmons radio show. CAA has started the next phase in the campaign, installing specially printed posters around the City of Hamilton. Ms. Shiell stated, “We are so excited about the design of these posters. The image changes based on the angle of the viewer, so two people can look at the same poster but see two different images. These posters once again ask the question ‘What Is Love?’, but with an eye catching effect. To learn more, or obtain help, or to give donations to Centre Against Abuse, visit their website, or call theit officeat 292-4366. Also follow them on Twitter @CAA_bermuda and like them on Facebook. WHAT IS LOVE. BABY DON’T HURT ME. DON’T HURT ME. NO MORE. This is such an awesome endeavour!! I LOVE it! Something like this will affect the hearts and mids of Bermudians by instilling and helping to maintain a suptle but positive soft energy that will permiate through our society for years to come. With all the violence and negativity that we hear around-the world/bermuda-us everyday, this will provide a well needed counter balance to bring calm and ultimate prosperity to the island. As of right now, the force throughout this island is murderously strong and needs to be combated. Love is the order of Life! Respect to this campaign and all those involved!